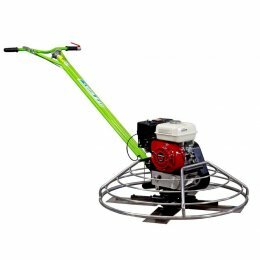 SIMA masonry saws are top-quality electric and petrol/gas power saws, mostly water-cooled with a sturdy, lightweight stainless steel table that is durable and rust-proof so that you get many years out of your tools, equipment and products. In fact, 90% of the materials used to manufacture our products are stainless materials, and all other parts are covered with an epoxy-polyester coating to prevent rust and corrosion. 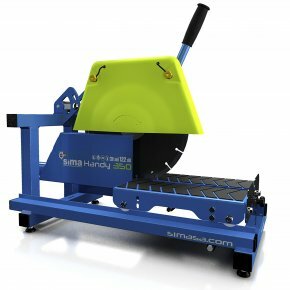 SIMA offers a range of masonry saw products and equipment for sale for a wide variety of uses, including electric saws with different engine voltages and tools to accommodate your various needs, with a range of maximum cutting depths and maximum diamond blade diameters to choose from. We also have masonry and tile saws that are capable of mitre cutting at a precision 45-degree angle. 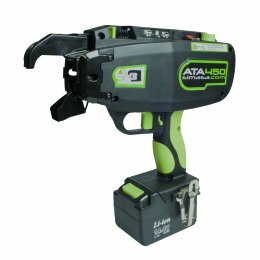 All of our masonry saws have moveable cutting heads, allowing you to accurately adjust the machine based on the length and depth of your desired cut. Both wet and dry cutting can be done using the correct diamond blade. Dakar Mekano masonry table saws with integrated water tanks offer a perfect balance between quality and price, which means the best value for your money if you choose our equipment. 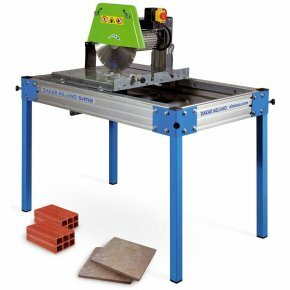 These products represent the best value in the world of masonry table saws for sale in the UK. 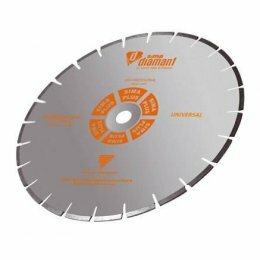 With the proper diamond blade, they can power through and cut any material: concrete, bricks, tile, curbstones, granite, marble, roof tile, etc. 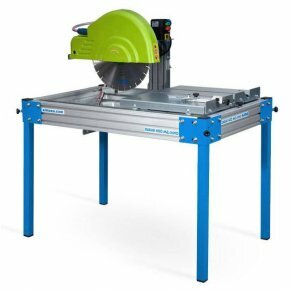 They offer top performance at the job site, cutting pieces up to 650 mm (25”) long. DAKAR Mekano and DAKAR 400 have removable legs, but they can be optionally fitted with other accessories such as folding legs and transport wheels. This product range is made from 90% stainless materials. The remaining 10% is coated with an anti-rust epoxy-polyester paint. The legs and head are removable, making it easier to transport and move the machine on site. The DAKAR Mekano and 400 Mekano masonry saw benches are rugged machines, easy to work with and optimized to yield an excellent performance at a very competitive price. 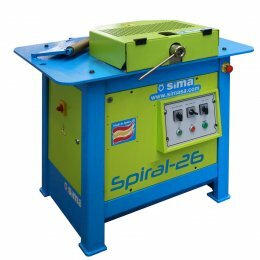 Combine our power tools with the appropriate SIMA diamond blade for best results. The DAKAR Mekano 45 saw shares the capacities and professional cutting accuracy of all DAKAR models, but this product adds the possibility of performing 45° bevel cuts, as well as the ability to swing the cutting head to the desired depth. At 45°, it can cut pieces up to 650 mm long (25”). 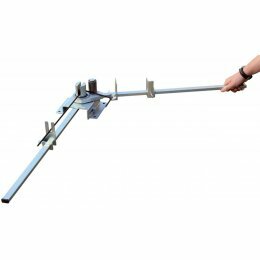 Extremely versatile, the cutting length can also be modified by moving the head arm alongside the frame, to best adapt to the cutting distance. 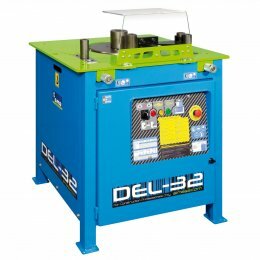 Therefore, it is very easy to handle, facilitating the operator’s job and reducing operation time. The larger wheels on the saw facilitate transportation, while the small wheels help to put it inside the back of the van. 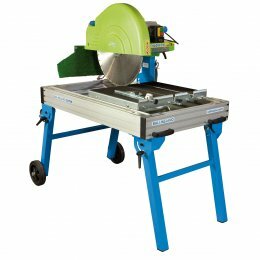 Masonry saws, electric tile saws and saw accessories for sale at the best price in our online store. A masonry saw is an absolute necessity when a job requires professional cutting of brick, concrete, tile, marble, granite, terrazzo and other stone or stone-like materials or products. 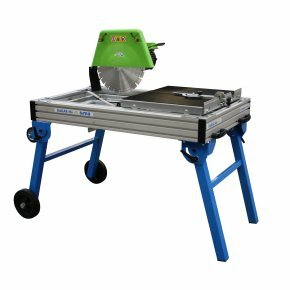 The DAKAR Mekano masonry saw embodies the perfect balance between quality and price in the world of masonry table saws. Accessories such as removable legs for easy transport and handling are also available. The cutting depth of Dakar Mekano masonry saws can be regulated in order to cut thick and heavy materials (in two stages) and to cut grooves using our range of diamond blades. Dakar Mekano masonry saw power tools offer top performance for users at the building site with the ability to perform mitre and straight cutting, on any kind of construction material, with a max. cutting length of 65 cm (bricks, concrete block, terrazzo, marble, sandstone, floor tile, roof tile, etc. ).